Acceptance of ourselves is what we all desire. Unfortunately we girls have been made to believe that we must change ourselves in order to accomplish this. That is why we created a t-shirts that tells the world “We will not buy in to its definition of our beauty™”. Reserve your empowering t-shirt now, but you don’t pay until our campaign has ended (15 days left). 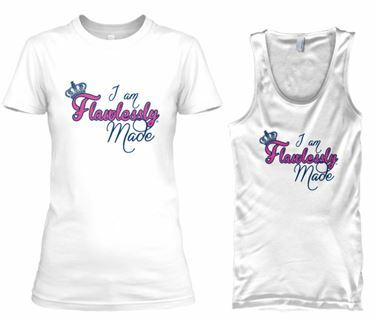 Reserve now at http://www.teespring.com/prettiegirlfm #flawless, #empower, #selflove, #girlscan, #hellobeautiful, #beauty, #pretty (A portion of the proceeds will be used to sponsor girls at Prettie Girl self-esteem building workshops http://www.prettiegirl.com).